Waldenström’s macroglobulinemia (WM), also known as Lymphoplasmacytic Lymphoma is an indolent B-cell malignancy in which there is a proliferation of small lymphocytes with some plasmacytoid differentiation. The disease is clinically more similar to a lymphomatous disease than to myeloma and other plasma cell disorders. 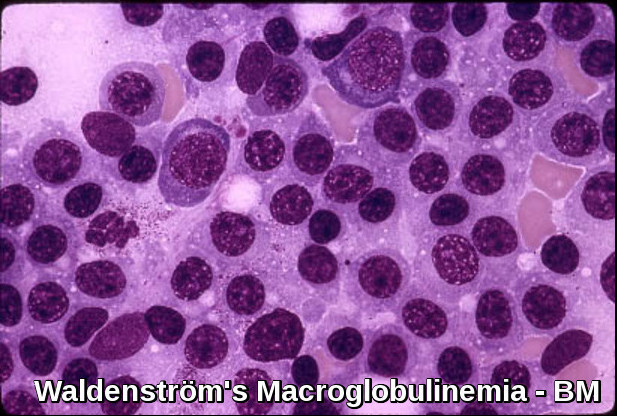 Waldenström macroglobulinemia is one of the malignant Monoclonal Gammopathies. There is usually massive production of monoclonal IgM. The cause of Waldenström’s macroglobulinemia is unknown. Men are affected more often than women. Waldenström’s macroglobulinemia is a disease of the elderly (median age is 65 years). After myeloma, WM is the 2nd most common malignant disorder associated with a Monoclonal Gammopathy. The disease usually presents with symptoms of Hyperviscosity. Symptoms of hyperviscosity include fatigue, weakness, spontaneous bleeding from mucous membranes, visual disturbances due to retinopathy, and neurologic symptoms ranging from headaches and vertigo to seizures and coma. Normal plasma viscosity is between 1.4 and 1.8 centipoise while symptoms from hyperviscosity typically occur when plasma viscosity is greater than 4 centipoise (about 4 times more viscous than water) and require emergency treatment. There may be hepatosplenomegaly or lymphadenopathy (cf. myeloma). Bony lesions are not usually seen in Waldenström’s macroglobulinemia (cf. myeloma). Anemia and a high ESR are usual. The leucocyte count and platelet count are often normal, though malignant lymphoid cells may be seen. The bone marrow shows diffuse infiltration by plasmacytoid lymphocytes. Flow cytometry results show B-cell features with surface expression of IgM and B-cell differentiation markers. In practice, a sIgM+ CD5– CD10– CD19+ CD20+ CD23–immunophenotype in association with a nonparatrabecular pattern of bone marrow infiltration is diagnostic of Waldenström’s macroglobulinemia. The serum IgM is usually very high and other immunoglobulins may be low. Cryoglobulins and Bence-Jones proteins may be present. Plasma viscosity is usually very high. Renal impairment is unusual (cf. myeloma). Indications for initiating active treatment for Waldenström’s macroglobulinemia include clinical evidence of adverse effects of the paraprotein (hyperviscosity with neurologic or ocular disturbance, peripheral neuropathy, amyloidosis, symptomatic cryoglobulinemia, cytopenias), disease progression (including progressive anemia), or development of constitutional symptoms. No treatment is indicated for asymptomatic disease. Treatment with oral alkylating drugs e.g. Chlorambucil may be indicated for palliation, but bone marrow toxicity can occur. Corticosteroids may be effective in reducing tumor load. Rituximab can reduce tumor burden without suppressing normal hematopoiesis. However, during the first several months, IgM levels may increase, requiring plasma exchange. Combinations of Rituximab with Cyclophosphamide/Dexamethasone, Bendamustine, or Bortezomib/Dexamethasone provide durable responses and are indicated when treatment is required. Nucleoside analogs (Fludarabine and 2-chlorodeoxyadenosine) produce responses in large numbers of newly diagnosed patients but have been associated with a high risk of myelodysplasia and myeloid leukemia. New monoclonal antibodies (ofatumumab), second-generation proteasome inhibitors (carfilzomib), immunomodulatory agents (thalidomide, pomalidomide, or lenalidomide), and Bruton’s tyrosine kinase inhibitors (Ibrutinib) are promising and may expand future treatment options. Plasmapheresis may be useful for hyperviscosity. Autologous stem cell transplantation may be considered in young patients with chemosensitive disease and in newly diagnosed patients with very high-risk features. 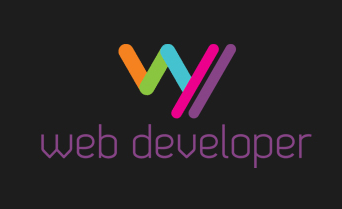 The course is variable, with a median survival of 7 to 10 years. Age > 60 years, anemia, and cryoglobulinemia predict shorter survival. Oza A, Rajkumar SV. Waldenstrom macroglobulinemia: prognosis and management. Blood Cancer J 5(3):e296, 2015. doi: 10.1038/bcj.2015.28. James R. Berenson, MD Macroglobulinemia – Hematology and Oncology – Merck Manuals Professional Edition http://www.merckmanuals.com/professional/hematology-and-oncology/plasma-cell-disorders/macroglobulinemia Accessed: September 2016. Vogt RF, Marti GE. Overview of monoclonal gammopathies of undetermined significance. Br J Haematol. 2007 Dec. 139(5):687-9.